Marijuana legalization will complicate law enforcement in 2018, says Edmonton police Chief Rod Knecht. When asked if Edmonton's police force is ready for the legalization of marijuana in Canada next year, Chief Rod Knecht's answer was blunt. 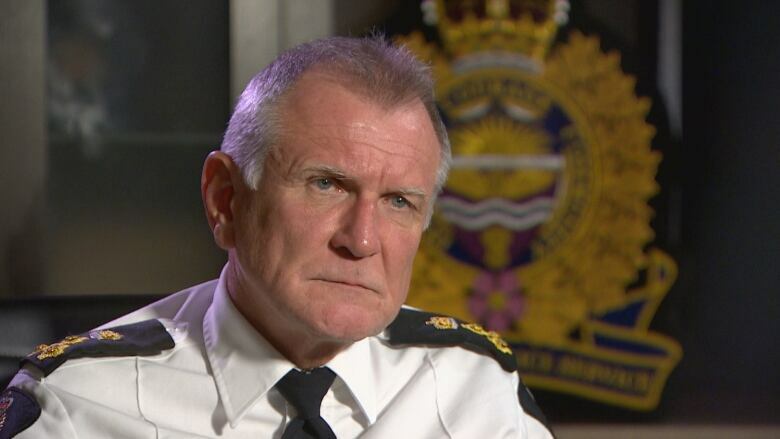 There are too many questions about the drug and not enough time to answer them, Knecht told CBC News in a year-end interview on Dec.18. "We're not ready," Knecht said. "You'd be hard-pressed to find any police service that's ready right now. "I don't think we fully realize and understand the consequences of this decision into the future and we'll wrestle with this for a while." Marijuana use will be legal by July 1, 2018. Six months from the federally set target, Knecht said it's still unclear how police will respond to situations involving marijuana. For instance, there is no reliable way to prove when drivers are impaired by marijuana. Anyone charged with driving under the influence could easily challenge police in court, Knecht said. "It actually makes our job more complicated," he said. "They're going to test the system because we don't have a benchmark ... It's going to plug up the system." A team of Edmonton police officers and lawyers is studying how law enforcement handles marijuana in Colorado and Washington state, where the drug is legal. The findings will help set tentative guidelines for the Edmonton Police Service and its partners, Knecht said. "This is going to be a quagmire for a while," he said. "Not just for the police, for a lot of folks."